It had been rumoured for months now, but it’s finally been confirmed — Reliance is entering India’s e-commerce’s crowded field, and will take Amazon and Flipkart head on. “Reliance Jio and Reliance Retail will launch a unique new commerce platform to empower and enrich our 12 lakh small retailers and shopkeepers in Gujarat, which are part of the over 3 crore community in India,” Reliance CEO Mukesh Ambani announced at the Vibrant Gujarat event today. This is the first public admission from Reliance that it will be starting an e-commerce operation in India. Details are still scant on how Reliance’s e-commerce arm will function, but it is expected that it will operate on a model different from Amazon’s and Flipkart’s. Instead of holding inventory, Reliance will likely use existing inventory that’s held with small and medium shopkeepers, and leveraging the reach of its 5,100 Jio network dotted around the country, somehow get it delivered to customers in their homes. Reliance also has a sizable retail presence of its own — Reliance Retail, through chains like Reliance Trends, Reliance Fresh and the like, is the biggest retailer in India, and it is possible Reliance will use this inventory as well for its e-commerce arm. Reliance has already dipped its toes in e-commerce — its Reliance Trends website delivers electronic goods to customers around the country, but this initiative is likely going to be much larger, and could pose a challenge to incumbents like Flipkart and Amazon. Reliance doesn’t usually enter industries if it doesn’t intend to dominate them — it entered telecom with Jio, and ended up upturning the entire sector; it entered fiber broadband, and spent hundreds of crores to acquire Hathway and DEN Networks. 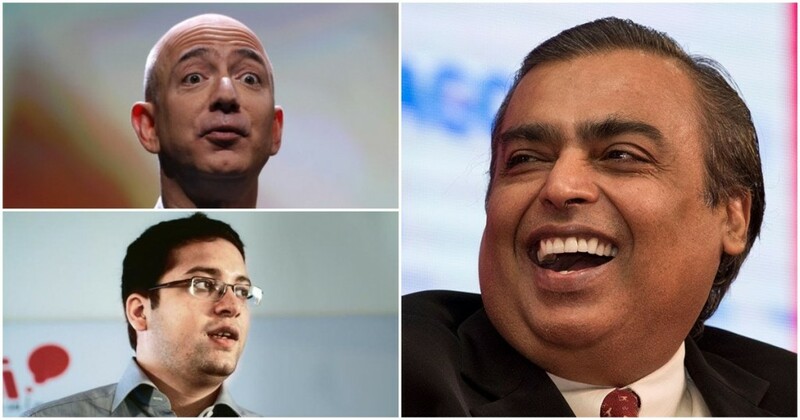 It’s now announced that it’s entering e-commerce, and Mukesh Ambani hinted that he would take own American-owned Flipkart and Amazon. “In this new world, data is the new oil. Data is the new wealth. India’s data must be controlled and owned by Indian people and not by corporates, especially global corporations,” he said at the event. “For India to succeed in this data-driven revolution, we will have to migrate the control and ownership of Indian data back to India, in other words, Indian wealth back to every Indian,” he added. It sounds very much like a battle-cry, and there might be upheavals in store for the e-commerce industry in the days to come.